Amanda Reynolds received her Bachelors of Science in Biology from Georgia Southern University in spring of 2012, working in various labs as an undergraduate researcher. In fall 2012 she started working with Johanne Lewis at Georgia Southern for her master’s degree, where she investigated the effects of hypoxia on tilapia and striped bass cardiomyocytes. During this time, Amanda was invited on a four-month research trip to Palmer Station, Antarctica. Here she helped researchers study the protein synthetic rate of Antarctica Icefish and red-blooded notothenioids. 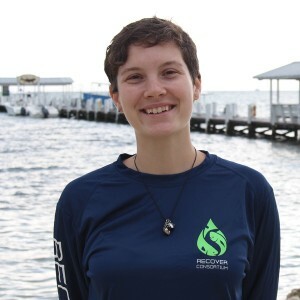 While pursuing her master’s, Amanda developed an interest in working with organisms that developed unique adaptations in response to their environment and studying their coping potential as the environment changes. In the summer of 2015, Amanda was accepted as a Ph.D. student at the University of North Texas in Dr. Dane Crossley’s lab to work on the GoMRI project. Amanda is interested in studying the physiological response of mahi-mahi cardiomyocytes after oil exposure. Amanda is excited to be part of a project that has so many different avenues to explore.